The Vivitek HK2288, now selling for $1499, is one of about half a dozen 4K projectors on the market in the sub-$2000 price range. Among these, the HK2288 is by far the most substantial in build quality. It weighs in at 20 lbs, compared to the 8 to 16 lb. weight range of its 4K DLP-based competitors. And with its heft and solid casework you sense right out of the box that Vivitek has not done much cost cutting in the hardware to hit its aggressive price. Yet another hint of apparent high design cost is that the HK2288 has three HDMI ports, all of which are 4K ready with HDCP 2.2. This is unheard of in this price range. On competing machines you typically get two HDMI ports, only one of which is HDCP 2.2 enabled. The vertical lens shift is another attractive feature that will enable somewhat easier installation. Most 4K projectors in this price range do not have any lens shift at all. 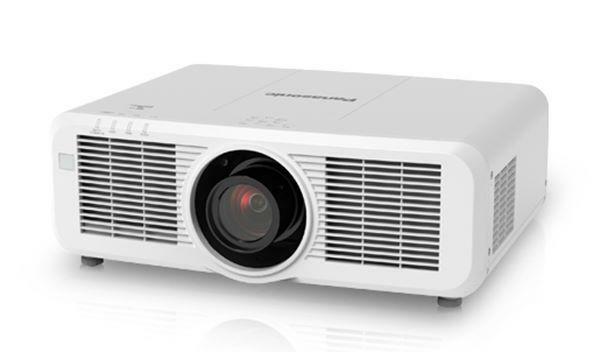 At the moment the HK2288 is the least expensive of the 4K projectors featuring the 0.66" DLP chipset. This is being used in the Optoma UHD60 ($1799) as well, but the ViewSonic PX727-4K ($1299), the Optoma UHD50 ($1499), and the BenQ HT2550 ($1499) use the latest 0.47" DLP chipset. Though there is no visible difference in image detail or resolution between the 0.66" chip and the 0.47" chip, the larger chip enables engineers to design for higher light output if they wish. It also gives the designer some additional flexibility to achieve higher contrast as they work with trade-offs between lumen output and contrast. Brightness. The Vivitek HK2288 is rated at 2000 lumens. As is typical, this projector has an exceptionally bright factory calibration that is decidedly green in tint and for the most part useless for video presentation unless you don't mind a green picture. You get it by selecting the factory default settings in the User mode. Though this puts out sufficient light to get close to its official lumen rating, you get a lot better picture quality by cutting down the lumen output in exchange for better color balance. Lamp Modes. The HK2288 has a "Default" lamp power mode which corresponds to the Eco mode on most other projectors. You have the option to select "Boost" in the menu to increase lumen output by 33%. This is the opposite of how most other projectors operate, where the default is the full brightness setting and Eco mode, which dims it down a bit, is a selectable option. There is no Brilliant Color option on this projector, which is fine for home theater applications. Color brightness is very close to white (or ANSI lumen) brightness. In Default mode color brightness measures 93% of white, and in Boost mode it measures 86%. Both of these deliver solid color saturation and a well balanced picture. Zoom lens light loss. The HK2288 has a 1.5x zoom lens that loses 20% of its light at the telephoto end. So if you want to maximize light output, try to install this projector close enough to the screen that you are using the wider angle end of the zoom range. Picture Quality in SDR. The HK2288's SDR picture on our two test units is biased toward a cool blue. It is not dramatically so, and when you fire it up, most consumers will be perfectly happy with what they see. The shift toward blue increases the rich blue in skies and makes clouds, white lettering, and other white objects look a crisp brilliant white. (Adding blue to the detergent is how Tide makes your clothes "whiter than white.") Many people like this effect, which is not unlike the blue color bias of Fujichrome compared to Kodachrome slide films back in the day. And since the brain's perception of color is infinitely forgiving of modest color inaccuracies, the picture can look perfectly well balanced and normal. Nevertheless, some calibration is required to dial in a warmer image in order to get optimal natural flesh tones. When that calibration is done, the picture looks (in our opinion) substantially better than it does out of the box. HDR performance. The first thing one notices with HDR subject matter is a color balance shift toward cool, similar to that in SDR. In this case it is blue-green rather than blue. So again some calibration is called for to get it tuned up to optimal performance. Other than the color, the HDR picture is incrementally higher in contrast than SDR, which is already quite solid. No projector will or should be expected to deliver the extreme HDR contrast of flat panels, which is a good thing--front projection avoids the artificially overprocessed look that is common on flat panels. What you get on the HK2288 is a sparkling high contrast HDR image that looks naturally balanced and not overprocessed. As noted elsewhere, the quality and balance of HDR pictures on all video displays can vary based on the source due to the non-standardized HDR source material. On several, but not all HDR discs, color saturation tends to appear weak on the HK2288. But we've also got an HDR disc that plays high in contrast and saturation on the HK2288. The bottom line is that when it comes to HDR, the HK2288, like all projectors, typically benefits from a few quick tweaks to the basic contrast, brightness, and saturation controls to accommodate each individual disc. The good news is that you can get a well balanced HDR picture from each source as long as you're up for making some basic picture adjustments. And these adjustments are easy to make just ballparking them with your eyeballs (there is no point in doing any formal calibration as it would vary from source to source). Once you've got the pictures dialed in, you get a riveting, deeply engaging video experience, so it is worth the effort to tweak it to get the best HDR performance possible (true of all projectors, not just the HK2288). Color Temperature Controls. The menu indicators regarding color temperature on this projector need to be taken with a grain of salt. The "color temperature" options of Warm, Normal, and Cool are in reality varying degrees of cool (on our test units at any rate); even the Warm setting (which is the default in all color modes) is biased toward cool blue. However, Normal and Cool are definitely cooler than what is labeled as "Warm." None of these controls get you to where you normally want to be, which is near D65. You can get there, but you need to get into the color adjustment menus to do it. Brightness Uniformity. The HK2288 performs very well on this metric. With the lens at wide angle, uniformity is very good 79%, and at the telephoto end it increases to a solid 87%. Variations in brightness uniformity are typically only seen on solid white, gray, or single color test patterns. When viewing a solid white 100 IRE test image, there is no noticeable hotspot or fading on the HK2288; it looks quite uniform across the screen and the meter is needed to detect the variances. Input Lag: The HK2288 measured 62 ms in all modes. Rainbow artifacts. Rainbows are virtually non-existent on the HK2288. Those who may be extremely sensitive to this DLP artifact can buy the HK2288 with confidence that this is not a problem on this projector. Fan noise. The HK2288 has a higher than typical noise rating of 35 dB in Boost mode. However its fan noise is lower in frequency compared to many other projectors. This makes the noise less obtrusive than most other projectors with dB ratings in the 30s. Nevertheless, there is still fan noise present. Those who want a quiet projector will want to turn the Boost mode off. When you do that, fan noise drops to a very low and unnoticeable level. In High Altitude mode, fan noise in Default mode is noticeable but remarkably unobtrusive. In Boost mode it is more apparent and you would want to take steps to mount the projector as far from seating as possible. On board Audio. The HK2288 has a single 10W speaker mounted on the side. The audio is functional if you need to hear a sound track, but it is thin and not particularly loud. Feel free to ignore it as a feature. This projector demands big complementary sound from a full surround system. If that is not possible, then at minimum opt for a good external sound bar. Lamp Life and Replacement Cost. Vivitek is quoting 3000 hours of lamp life in its brightest (Boost) mode, and 5000 hours in Default. A replacement lamp is $319--quite a bit more than most competing 4K products at the moment. The lamp on the HK2288 is 310 watts, whereas most competing units use 240 watt lamps, so the power usage is somewhat higher as well. Warranty. The Vivitek HK2288 comes standard with a 3-year warranty. Lens Shift Range and Throw Angle. The good news is that the HK2288 has lens shift, a feature which many competing 4K projectors do not have at all. Nevertheless, the shift range is limited to about 1/3 the picture height. Moreover, most of that range is not usable in many installations. In its neutral position (mid-point in the shift range) the centerline of the lens intersects the bottom edge of the projected image. From that point you can either raise or lower the image about 16% of the picture height. This is certainly handy when ceiling mounting the projector, but in many cases you will want to use the maximum end of the shift range. The 1.5x zoom lens lets you position the HK2288 anywhere between 12 and 18 feet from a 120" diagonal screen, which is excellent. In theory, that would make a rear shelf placement behind the seats a viable option. However, if placed above the audience, the downward lens shift will not in many cases have sufficient range to lower the picture to an ideal viewing position on the wall. In the event you wanted to install the projector at a modest tilt downward to hit the screen, be aware that no keystone adjustment is available to square up the image. See the Vivitek HK2288 Projection Calculator to check throw distances for your desired screen size. Color Balance and Calibration. Though users might find the factory calibrations appealing, the color balance is significantly improved with some methodical recalibration. Making color adjustments is more tedious than it should be on this projector because it is set up to close the menu after each tweak to Hue, Saturation, or Gain on any R, G, B, C, M, and Y control. All navigation buttons on the remote close the menu once any change is made--there is no backstep button. This forces you to re-open the menu from scratch and go through a six-click sequence to get back to the opening of the HSG Color menu. Once you get to that Color menu there is no visiblity into how each of the colors are set. You need to individually open each of the R, G, B, C, M, and Y screens in order to see the current H, S, and G settings for that color. At that point, even if no change is required, you need to close the menu and start from the top to get back to the next color you want to adjust. The bottom line is that making color calibration adjustments is rather like harvesting an acre of rice with a pair of tweezers. However, it is possible to get the HK2288 calibrated and spun up to where the color is well balanced. Once it is done you should not need to adjust it further, so this flaw impacts set up time more than ongoing operational use. Note however that color balance adjustments are more complicated than simple adjustments to brightness, contrast, saturation, or sharpness. Most consumers will not be able to make these adjustments to color without meters and some knowledge of calibration. In our view the HK2288 will definitely benefit from professional calibration. No 3D. 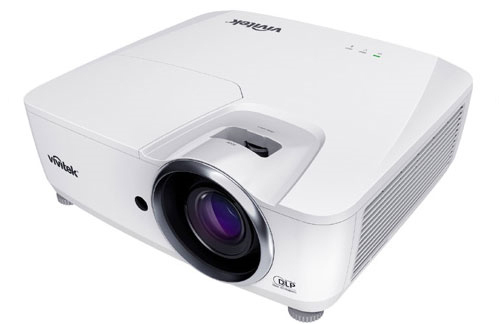 None of the 4K projectors offer 3D in 4K resolution. The BenQ HT2550, also currently priced at $1499, offers 3D for 1080p sources if you turn off the 4K resolution. No 12-Volt Trigger. Every other 4K projector under $2,000 has a 12-volt trigger. This one does not. Out of the box, the Vivitek HK2288 is an impressive projector even before you turn it on, just from the evident high quality construction. Once you fire it up, the 4K resolution picture sparkles with sharp, clean definition, and a combination of contrast and saturation that is exceptionally pleasing. A major added bonus is that you will experience virtually zero rainbow artifacts. On the two samples we worked with the color balance in all preset calibrations including Movie was not as precise as one would hope, with color being pushed a bit toward cool blue in most cases. However, this is a calibration that appeals to many, and it is certainly more attractive and easier to live with than errors toward green, red, or yellow. Nevertheless, better color balance and more attractive flesh tones can be achieve with some deliberate recalibration. Since color adjustment requires meters, proficiency, and on this unit more patience that the average consumer might possess, many users will benefit from having the unit professionally calibrated. Despite its color idiosyncrasies, the Vivitek HK2288 is an outstanding value at $1499. Many will love the picture straight out of the box. Those who have it calibrated to the next level will end up with an excellent 4K projection experience. Thank you for posting this review Evan! Looking forward to reading the details of how the newest generation of 4k units perform in some side by side comparisons. Long live 1080p! Keep up the great work. I am sensitive to rainbow artifacts, but not overly so, this projector gave me a headache in less than an hour of viewing hdr material..Also, hdr had terrible banding that as far as I could tell I couldn't eliminate through adjustment. Hdr seems to shut down all picture adjustment options. Lack of lens shift and minimal zoom sealed the deal and I returned it to projector people. Arthur, if you were bothered by rainbows on this projector you are far more sensitive to them than the average person. The HK2288 has an extremely low propensity to produce them--it is among the best we've seen in this regard. Due to your extreme sensitivity, you should not be buying any single chip DLP projector at all. Regarding HDR adjustments, the Vivitek menu is indeed unnecessarily confusing, but you can make picture adjustments in HDR--you did not look at the menu options carefully enough to discover how to do that. Lack of lens shift? Wrong, it has lens shift, one of only two 4K projectors under $2,000 at the moment that does. The shift range is not extensive, but it is more than you get on any other 4K model. Minimal zoom? It has a 1.5x zoom, almost the longest zoom range of any 4K projector anywhere near this price. If a long lens shift and zoom range are key factors for you, we recommend that you check the specs on the projector you are considering before buying it. Well for me, this projector is a BEAST!!! It projects a perfect 110 inch picture on my screen. I've seen absolutely no rainbow effect at all...zero, zilch, nada. I have yet to view HDR material through this projector. It's the best projector that I've owned since my Panasonic PT-AE1000U projector gave up the ghost! I do have some complaints about the menu and the lack of sensitivity on the remote (seems to have an issue picking up the signal at times). Aside from that - its all fine and dandy! Three 4k HDMI inputs is quite rare in this price range. For a sub $1500 projector - this machine hits the right spot!